Size: 5.4" x 2.8" x 0.45"
A total of four different versions could be found here. The picture on the right gives you an idea about the internal construction of the calculator. The flexible printed circuit board (PCB) forms one half of the keys, holds the calculator chip and connects to the LCD. Even the two coin batteries are connected directly with two small PCB parts. 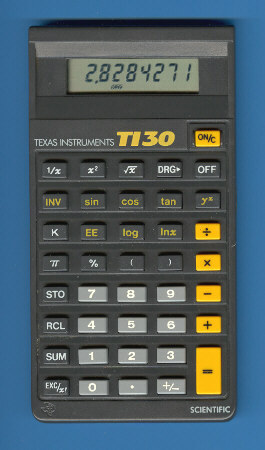 Find a similar construction with the TI-52.